Finally Fiat-Chrysler has revealed its results for the third quarter and the plan for coming years. 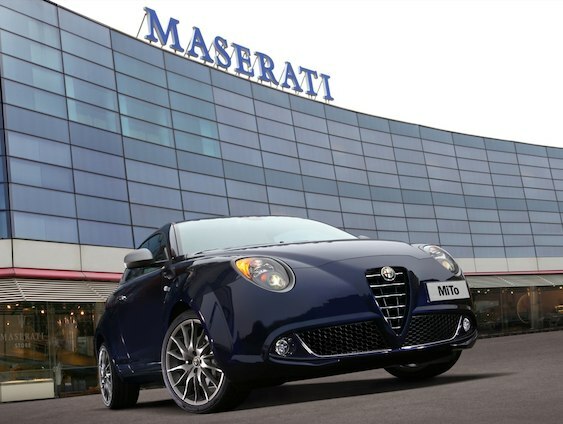 Fiat is indeed in a complicated situation in terms of its European sales figures and profits. Nevertheless the group revealed that during the third quarter of this year its EBIT, Earning Before Interest and Taxes advanced 12% to 951 million euros, including both, Fiat and Chrysler divisions. The good result was even better than what most analysts expected and is explained mainly by Chrysler results in North America and the good sales figures of Fiat division in Brazil. Europe, as Marchionne has said, is a mess and will continue to be like that for at least 2 more years. Besides, Fiat has its own problems in its native Italy when it is about dealing with labor unions and its factories. Italian authorities and workers are worried about Fiat’s decision of cutting investment over there, because they believe that at the end Fiat will move from Italy to the US market. 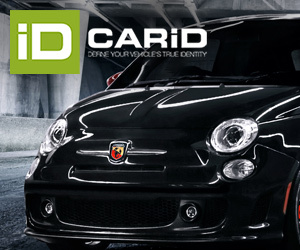 Fiat Group is the major private company in Italy and employs thousands of people there. A possible departure of its operations in Italy could mean a big disaster for employment and investment rates in this European country. Sergio Marchionne knows how important and difficult Italian market is for Fiat-Chrysler. And that’s why he insists there must be deep changes in the way Fiat operates in Italy, if they want to keep their strong ties. He has repeatedly said that labor conditions must be more flexible in order to become more competitive compared to other European countries. He thinks the government should be involved in the solution of the crisis through the support of Research & Development of car industry. And he believes Italy should look abroad and export so production levels would compensate the lack of local demand. But according to the last conference call, there is something else in his mind. As Fiat knows and understands the concern coming from Italian government and labor unions about the future of group investments, Marchionne knows also something must be done in the short and mid-term in order to minimize the losses and maintain the activity in Italy. There are two paths to be considered and it seems Fiat has already chose one. Just some lyrics like these would add a big value to any car produced under Alfa Romeo logo. Currently Fiat has 4 factories producing all types of cars, from the small Panda up to the big Maserati and sporty Ferrari. The group is well-known for producing the best small city cars but also the most wonderful sporty ones. The common thing among them is that they are produced in the same country under the same labor conditions and therefore with the same cost effect on their prices. Italian labor force is good but expensive compared to other markets in the region. It means that this cost is proportionally applied to all Italian cars according to the segment. It explains why Fiat has moved some of its production to other European markets where labor force is not only cheaper but more flexible. Poland, Serbia and Turkey are the places where Fiat produces the 500 and the Ypsilon in the first case, the 500L in Serbia, and the Doblo and Linea in the last country. The Panda, whose second generation was produced in Tychy, Poland, was moved to Pomigliano, Italy for its third generation as a response to government’s request to increase local production (Fabbrica Italia plan). But third generation Panda has not been as popular as first one, as Italian and European demand is falling considerably. Besides, its prices are not longer the cheapest ones of the segment. Alfa Romeo could share more platforms and projects with Maserati for its large sedans and sporty cars. It would be positioned just one step behind Maserati. In order to maintain Italy’s car production levels, Marchionne has two paths: the first one is to launch the new Punto and renew the ‘C-Segment’. It requires a big investment for an uncertain demand, which is more or less what happened to new Panda with an investment of 800 million euros. It would be risky to do it and Fiat is not the big player in Europe to do it. The other path is to strength the other famous side of the range, the sporty cars. 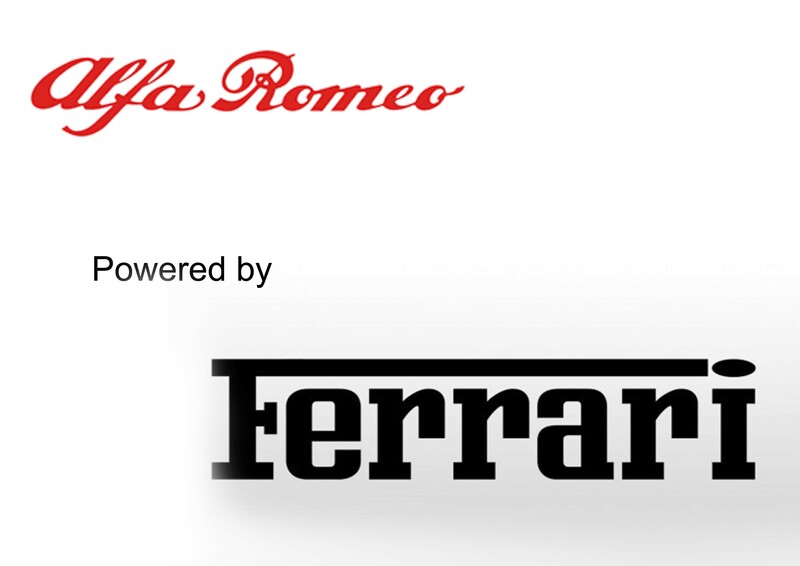 Ferrari is the best example of what Fiat can do with its other premium brands. It is incredibly popular and is more or less the referent of high performance cars. It earns money not only because of the 8 thousand cars it sells in a year but also for merchandising: stores, clothes, advertising, sponsorships and so on. But it stops only there. Not even Maserati has that popularity. If Ferrari is part of the group then it should have a closer approach to other brands of it. It means that not only Maserati could use its engines and some technical features, but also Alfa Romeo, the other sporty brand. If Italians are known for doing the best sporty cars, then Italy should specialize on it and leave the other segments to other countries. It is not only a matter of costs, which affect more the cheapest cars, but also a matter of positioning and specializing the industry. Fiat and Chrysler CEO thinks is better for Italy and Fiat to focus on the production large, luxury and sporty cars in its native market, while leave the small and cheap cars to other ones. He wants Italian factories to increase its production levels thanks to more exclusive Maseratis and Alfas to be sold not only in Europe but in US market. Models like the future Maserati Levante or Ghibli, or the Alfa Romeo Giulia, 4C, or a larger sedan for E-Segment could make work Italian factories only if they find a good demand in North America. Meanwhile Poland, Turkey and Serbia should serve to produce the small cars to make use of its lower costs and offer these cars with more competitive prices. 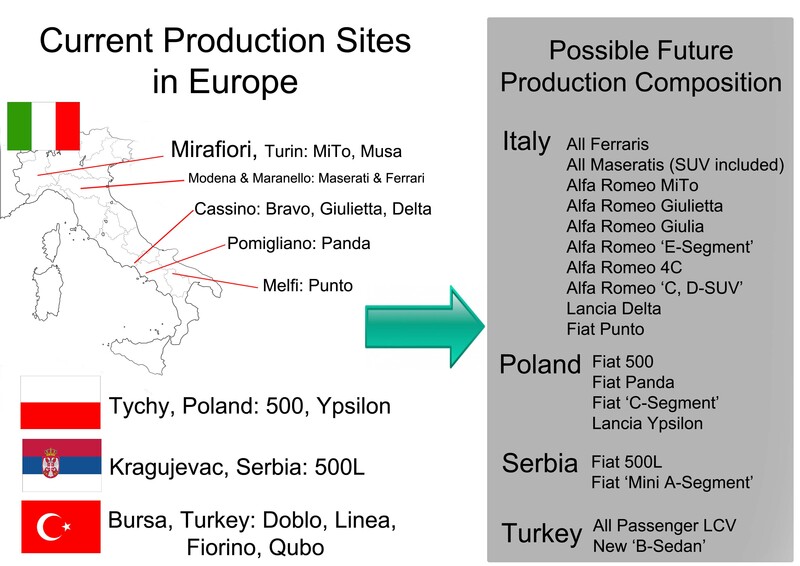 Italy could become the new European production center for luxury and high performance cars with exclusive production process and export focus production. 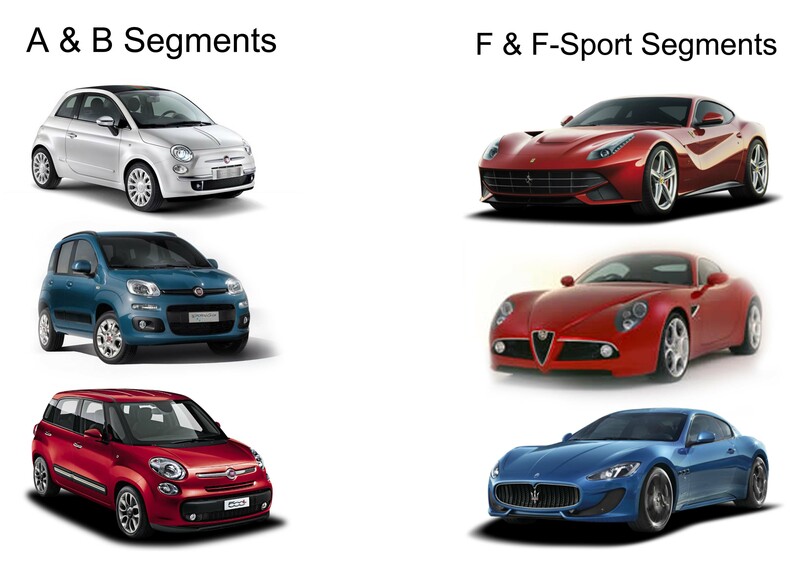 Basic segments cars could be produced outside Italy. ← A possible Abarth Panda? no way! We almost wrote the same article haha. Nice analysis, I completely agree. Kragujevac = 1 italian factory has to close. And without new Punto and new Bravo built there, probably another factory will become redundant. People in Italy now hasn’t the money for a new Punto, how could they buy a Maserati or an Alfa? that you make. Where are your figures to support what you´re saying?